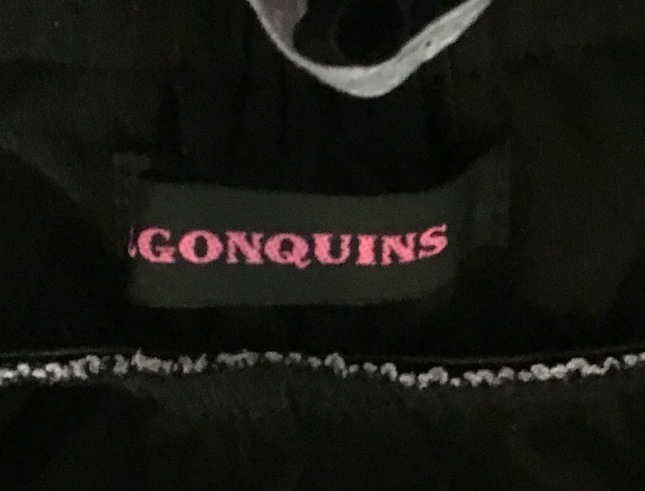 Algonquins dress with emprire waist. 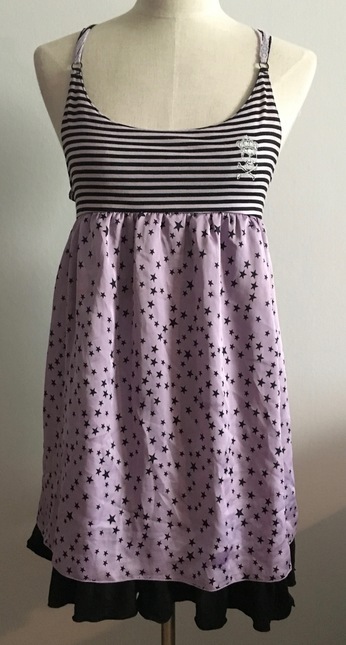 Top is striped knitted stretchy material as is the black lining in the hem. 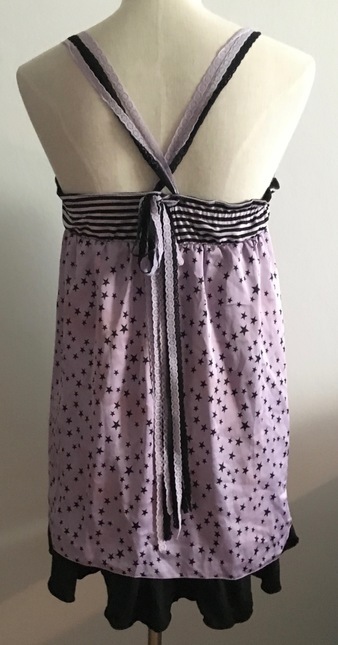 The star pattern fabric is satin. 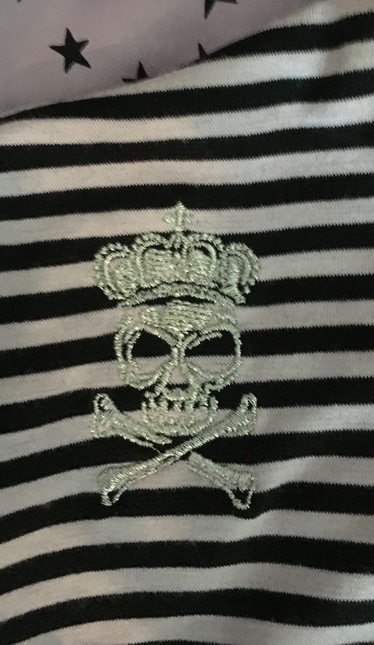 There is silver skull embroidery at the chest. Shoulder straps are lace and can be adjusted. Please always check Kei Market mandatory condition rating as well as it will give you an overall idea of the item condition. *I send all invoices in usd, but if you would like to make payment in euros, please let me know. *I only ship to the address on Paypal *Shipping prices given in the sales post are priority mail without tracking. I can also send with tracking but it will cost 5-10 euros extra. Shipping in economy class is also possible and a little bit cheaper, but the shipping time will be longer. *In case the shipping is less than I have estimated, I will refund the extra cost. *I do my best to ship all parcels within 4 weekdays from receiving the payment. However, I cannot guarantee this at all times, but I'll keep the buyer informed if there are any delays. *I can combine shipping. Sometimes combined shipping is a little bit cheaper, so please tell me the items you are interested in and I'll check the cost. *I have a dog and although I clean all clothes the best I can before shipping, some hair might still tag along. Please take this into consideration if you are allergic. *I pack all items as well as possible, but I do not take responsibility for damage during shipping. *I do my best to get as good measurements as possible. However, there is always some room for error, so I do not take responsibility if the item does not fit. *Also please note that the actual colours may be slightly different than on your screen. *Suomalaiset ostajat: kysy toimituskuluista! Postitus Suomessa harvemmin yli 8 euroa. Maksu pankkisiirrolla onnistuu myös.